Today’s London publicity stunt for the Chinese regime should be ignored by the public and any reputable athlete or politician, unless to register a fierce protest. The four-month “journey of harmony” of the Olympic torch (or many cloned torches) through 21 nations is an exercise in political laundering. It is appalling that the prime minister is to “greet” his torch in Downing Street. This tour has nothing to do with sport. It has been staged by the Chinese government, not the International Olympic Committee, with “celebrity runners” in each country approved by the commercial sponsors, Coca-Cola, Lenovo and Samsung. In Britain those conned into joining include Tim Henman, Sir Trevor McDonald, Vanessa-Mae, the Sugababes, Ken Livingstone and Gordon Brown. It shows how craven Britain has become to its membership of the so-called Olympic family and its Chinese parents. The idea of carrying a lit torch from the Temple of Hera in Greece was invented by Hitler in 1936 to suggest a link between the German people and fellow Aryans in southern Europe. It was revived as a political act by Sydney in 2000 with a regional tour symbolizing Australia’s links with the Pacific rim of Asia. Athens staged a world tour in 2004 in honor of the Games returning to their original home. Nothing has equaled the present shenanigans. China’s ruling politburo knows that these Games carry heavy political baggage. Everything is image. The regime wants value for money from its $30 billion and that would never accrue from a mere fortnight’s track and field events. That is why today’s London run, which began in Athens last month, will return to China by touching down in Lhasa, Tibet. There it will meet a torch from the summit of Everest. The centrality of Lhasa to the tour is to emphasize that Everest is in China by virtue of being in Tibet. It is not the protesting Tibetans who are polluting sport with politics, but their Chinese overlords. Participants in today’s display are thus endorsing an event the climax of which is to celebrate a dictator’s conquest of a neighbor. When Saddam Hussein did that to Kuwait, Britain went to war. The least Britain owes the Tibetans is not to add to their humiliation. Playing sport is one thing, political cheerleading is another. I normally dislike boycotts, embargoes and sending’s to Coventry. They tend to hurt the wrong people and only boost the self-importance of those at whom they are directed. That particularly applies in areas such as sport, where non-political contact between young people in conflict-ridden parts of the world should be promoted rather than suppressed. For that reason it is right, as the Dalai Lama has said, for athletes to participate in the Beijing Olympics, as in Hitler’s in 1936 and Moscow’s in 1980. But the athletes and their political and media hangers-on should recognize that the Games have never been politics-free, not since their revival in 1896. The ambition of Baron Pierre de Coubertin, their promoter, was emphatically political, hoping that big nations would “fight each other at the Games” instead of rushing into wars of national prestige. Since then a self-perpetuating mafia, the IOC, has relentlessly hyped the Games as festivals of national prestige to push their cost way beyond that of any other world championship and beyond the hopes of any poor city or nation. It demands permanent stadiums, villages and massive security, most of it useless for any lasting purpose. The world is littered with vacant and derelict Olympics venues. London has caved in to the same pressure and is building unnecessary sites for athletics, swimming and cycling, as well as London facilities for horse riding and shooting that could have been staged in the home counties at Hickstead and Bisley. The IOC knows that only by investing the Games in flatulent pretension can it hope for rich governments to keep it in the style to which it has become accustomed. Nothing but dictatorship could have drained Beijing of the $30 billion that its Games are costing. After Britain’s experience of IOC lifestyle requirements – such as “Zil lanes” in Mile End Road for its personal limousines – it may have to rely on other dictatorships in future. The pretension is embodied in the torch, a 20th century invention, called “a symbol of peace, justice and brotherhood” that is “bringing people together on its journey of harmony”. Its “mother flame” is being transported about the world in a specially adapted Air China jet, with 10 “flame attendants”, like Greek acolytes. The torch requires its own motorcade and a nightly hotel room where it must be surrounded by unsleeping guards. No sport does itself credit by associating with antics reminiscent of the crazed millionaire in Dr No. Yet even London has capitulated to this nonsense, with the British Museum, Downing Street, Canary Wharf and the Docklands Light Railway all cashing in. Taxpayers must spend £1m on eight hours of police overtime culminating in the lighting of an “Olympic cauldron” at the Millennium Dome. If this were not the Olympics it would be total nutcase country, with the Witches of the Sabbath and the Flat Earth Society demanding equal time. Handling the politics of the Olympics will clearly be a matter of some delicacy. The Chinese ambassador in London may yet absent herself from today’s event. Gordon Brown and his cabinet should do likewise. The British, led by Tessa Jowell, the ensnared Olympics minister, periodically intone their “concern for civil rights in China” as if it were a Buddhist mantra. It makes no difference. From the moment the Games were awarded to Beijing, all involved knew they risked becoming quislings to the Chinese cause. Many athletes have protested that boycotting the Games because of Tibet or civil rights would be a “terrible blow to young people who have trained for years”. But most sporting championships are purely about sport, such as those devoted to cycling in Manchester last week. By contrast, athletes always knew that Beijing would be a seismic political event. In Tibet 140 people are reported to have died, preliminary to the athletes’ enjoyment of their sport. Eight were reported shot last week for supporting the Dalai Lama. The Chinese have closed Lhasa to clamp down on further protest, as they had to close Tiananmen Square for the first receipt of the torch. They have arrested 70 Uighurs in the “autonomous” province of Xinjiang. Dissidents in Beijing are being arrested and condemned to who knows what fate. One writer, Hu Jai, has been imprisoned and tortured for doing what the IOC boss, Jacques Rogge, advocated, namely that the Olympics be used to publicise human rights abuses in China. What is Rogge doing now? The Olympics are a festival of chauvinism, a farrago of anthems and flags and medal tables and prestige. Those participating in the Olympics are not individual players, as in most sporting occasions. They are Coubertin’s soldiers, defending their nation’s honor in a charged political climate. The Olympics are a United Nations general assembly by another name. China and the IOC are relying on the ceremonial flummery to validate the Games financially and politically. There is now no way those participating can cut the Games down to sporting size. The IOC has long closed that option. But in this contest of political symbolisms, they can return like for like. The more odious the host regime, the more assiduous visitors can be in publicizing the odium. Politicians should go nowhere near these Games except in protest. Leave them to sport. Today and at every stop along the way, the torch and its bearers must suffer a tunnel of shame, parodying its protestations of peace, brotherhood and justice. This is an opportunity to publicize and protest against the world’s greatest dictatorship. The BBC’s 400 Olympics staff are on the mother of all junkets, in contempt alike for China’s oppressed and Britain’s licence-fee payers. It will be shocking if such a media bonanza ignores its wretched political environs. China last week welcomed the British government as a member of something called the Olympic family. If this is a family, I hope that for the next four months it is an intensely unhappy one. In Thursday’s 200 IM, Michael Phelps notched what is a pedestrian time for him when he won in 1:57.39. What is your opinion on boycotting the opening day ceremony by our president? WASHINGTON, D.C., April 4, 2008 (LifeSiteNews.com) – The Communist Chinese Olympic Accountability Act, introduced on Tuesday, if passed would forbid federal government officials and employees, including President George W. Bush, from attending the 2008 Beijing Olympics opening ceremonies, in protest against the nation’s disregard for human dignity, such as its one-child policy. “We are not talking about athletes, who are going in the spirit of competition of the games, but we don’t need politicians going because politicians, unlike athletes, send political messages,” McCotter explained. “The Chinese government has a brutal history of forcing women to abort their babies. Everyone from both sides of the aisle can agree that this barbaric practice must end. It’s horrific that any country would allow abortion at all, but forcing abortions falls to another level of evil,” stated Andrew Flusche, staff attorney for American Life League. Chinese leader Deng Xiaoping introduced the Chinese one child policy in 1979 as a “temporary measure.” This past March, however, nearly three decades later, the Chinese government indicated that the policy would remain in effect over the next decade. Under the policy, many Chinese women pregnant with a second child face fines, forced sterilization, or forced abortion from the government. Democratic Speaker of the House, Nancy Pelosi, has given cautious support to the idea of boycotting the opening ceremony.”I think boycotting the opening ceremony, which really gives respect to the Chinese government, is something that should be kept on the table,” she said. German Chancellor Angela Merkel has already decided not to appear at the summer opening ceremonies. “China’s strangulation of Tibet is only an extension of the suffocation of liberty in China itself. Should the Olympics go off as planned, China will rightly conclude that the world has made its peace with Beijing’s oppression, and is indifferent to whether the Olympic rings are used as shackles. A modified boycott would expose that as a lie,” wrote Fr. Raymond J. De Souza in the National Post, encouraging Canadian officials to boycott the Olympic Games. Last night on the evening news there was a story about a young lady who was a high school swimmer and had been in a terrible auto accident that left her in a wheelchair. Her spinal cord had been severally damaged and is paralyzed from the waist down. 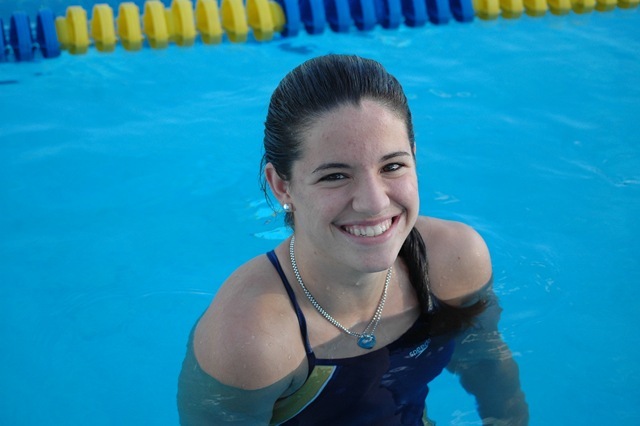 Swimming has been her salvation and she is now a swim coach for her high school team she once swam on. I thought that she would be a great inspiration for you guys out there, who sometimes take things for granted and moan and grown when things get a little tough! here is her story. I know that after reading it you will be as generous as you can be, every little bit will help….I would love to see the swimming community get behind this young CHAMPION ! My name is Ryan McLean. I was born on August 18th, 1980. I was raised in Denver, Colorado where I attended Cherry Creek High School. In 1997, I was a junior on the varsity swim team. After leaving a school-sanctioned dance, I piled into a car with my friends and headed off to the bowling ally. We never made it there. The driver of the car lost control on the highway. The car flipped through the air across the median and collided with oncoming traffic and I was projected out of the car through the side window. I landed an estimated 150 feet from the car. As if someone picked up the snow globe of my life and violently shook it up, everything changed in a matter of seconds. I broke my spinal cord, collapsed my lungs, endured massive road-rash on my back, and broke nearly every bone in my legs. After arriving at the hospital I endured over 20 hours of surgery before being placed in the Intensive Care Unit. That is where I stayed for the next month. After I was strong enough to breathe on my own, I was placed in another unit in the hospital for three weeks. From there, I moved to a spinal cord and brain trauma hospital for three months of additional recovery. At Craig Rehabilitation hospital I learned how to live my life from a wheelchair, paralyzed from the bottom of my ribcage down. By the time school started up again in August I was as ready as I would have ever been to encounter a world I no longer knew. Going back to a senior year of high school, once my whole life had been turned around, was no small challenge. Quickly I learned that maintaining normalcy was going to be the only way to progress from what had happened some months before. So, the day that I left the rehab hospital I began coaching at a private swim club. That winter I joined the swim team as I had every year prior, only this time swimming with the slower, junior varsity team. I have always been quite competitive both in and out of the water, which made the swim season in my senior year frustrating. I was too weak to last more than twenty minutes in the water and could only manage to swim very short events in meets. I swam almost four times as slowly as I had before and had to get used to coming in last place every time. Then, I was embarrassed, but now I am proud. I finished my high school career and moved on to college. I began my studies as a liberal arts major and quickly realized that was not where my passions lay. My extended stay in the hospital spurred my interest in Biology and I chose this as my new major. I struggled with my studies because science had never been something that came easily to me, but I enjoyed every second of it thoroughly. After finishing my undergraduate degree, I relocated back to my hometown and began coaching swimming for the very high school from which I graduated. I felt elated about being able to lend my talents to the very community that supported me when I needed them most. After watching me interact with my swimmers, Kathy Smith, the school principal encouraged me to think about teaching. I truly believe that moment changed my life. I had never considered teaching as a career before. I immediately applied for a secretarial position within the science department while I pursued my teaching license and my master’s degree. I never would have believed how much I enjoy tutoring and mentoring children. I feel a huge sense of pride being a part of such a prestigious department at one of the top high schools in the country. It has been the greatest experience of my life and I know now that this was the job I was born to do. I love spending time with my students every day trying to inspire them to learn, not only biology, but tolerance as well. Each day I try to lead by example. I challenge them to believe in themselves the way that I believe in myself. I show them that the world is not about what happens to you, but rather how you perceive and react to those events. I take extra time with students who are struggling academically or personally and make sure that they know they have a place to study, get help or just talk. As a result, I often find my office full of students during my planning periods or after school but I believe it is really important to give kids a safe place to be when they need it. I also feel that I have made a significant contribution to the biology program here and enjoy planning and interacting with my fellow teachers. . All in all, I have a beautiful life. Since my accident I have pushed the limits of my abilities in other areas of my life as well, ranging from sports to travel. Through motivational speaking engagements, I have shared my story with thousands. I hope that I have inspired people, if nothing else, to wear their seatbelts! I have kept up with my swimming and have been exploring other sports such as cycling, racing, and ice hockey. 2007 was a year of firsts for me. Last summer I entered my first marathon and triathlon. This fall I became a member of the first paraplegic basketball team in Denver. I also bought and decorated my first home in the foothills outside of Denver. I am proud of my accomplishments, but I want even more. Just recently, I was approved to travel to India to undergo stem cell treatment in hopes of regenerating some of my spinal nerves. After extensive research, I believe this treatment to be ground breaking, giving me the potential to increase my longevity and possibly regain some movement or function. I have taken this opportunity to teach my students about stem cell research, which has resulted in many stimulating discussions in my classes. At the very least, this experience will affect me in mind, body, and spirit. I realize how few people have had this opportunity and I am anxious to see if this technology will make a difference for me. My mentor while I was at Craig Rehabilitation Hospital recently underwent this same treatment and she has seen miraculous results. Although the treatments are relatively new, I am excited to be at the forefront of a technology that offers so much hope to people with disabilities. I have started a blog on line so that I can keep a diary of my experiences in India and beyond that. I plan to share it with my students, friends and anyone else who may want to learn about this procedure. I’m also excited to see India and will hopefully be able to travel around a bit during my two month stay. After that, who knows? Great job Team Weston! Helping the Gary Hall Foundation for the cure of Diabetes. 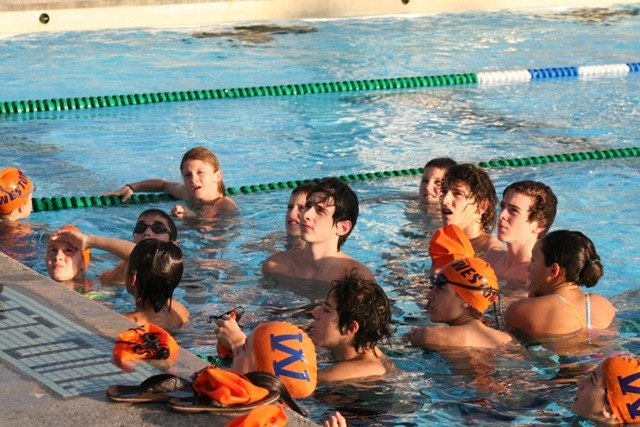 $5,000.00 was raised during a Swim-A-Thon at the Midtown Athletic Club in Weston Florida. Congratulations to Coach Tomas and all that helped pull off this wonderful event. Good luck to all the swimmers competing in the District ll Championships this week end. Go get some JO cuts…. Q. What Motivated you to become a swim coach? A. The love for the sport,the experience and relationship that gave me as a swimmer and the challenge for the ultimate goal..
Q. What has been your most rewarding coaching experience? A. I had a few and I know I will have many more to come, but witnessing my swimmer Nelson Mora win the gold medal beating the #1 swimmer in the world in the Pan American Games in Argentina in 1995 in the 200 fly. Also the two back to back HS State Championships of my daughter Daniela and her winning the Southern Zone Championships setting a new meet record. Q. What was the highest level of swimmer you have coached? A. I have coached a few but, some of the better ones are Ricardo Monasterio, World Short Course Champion medalist and Nelson Mora, Pan Am Games Gold Medalist. A. A lot, he has been my coach and teacher during my career. His expertise has taught me so much not only how to coach, but how to motivate and make swimming fun for my swimmers. Q. How much difficulty have you had separating coaching your daughters and still being just dad? A. From day one, since they decided to become competitive swimmers I kept the swimming in the pool, while at home we have always been a normal family not involving swimming in our relationship and it has worked out for both of them to the point that both have been offered athletic scholarships to Colorado State University and The University of Florida. Q. What was your most memorable moment in coaching? A. It is hard to point out a specific moment, but lately when we came in 6th place in last years Short Course Junior Olympic Championships. Winning against teams a lot bigger and more experienced than ours and you had a lot to do with it. Q. What are your goals for the future of swimming? A. I know I won’t be coaching forever. My plans are to establish a solid competitive swim team with a larger aquatic facility and become the technical director and assemble a staff of great coaches to be able to develop world champions and a winning team. Q.What was your most humorist in coaching? A.It happened just recently at the Gary Hall Swim-a-Thon for Diabetes.We assembled a relay team of older swimmers to swim against a team of much faster swimmers. We beat them thanks to my cheating- jumping early off the start, turning before reaching the wall and swimming a little bit of fly during the breaststroke leg. I was such fun and our parents enjoyed it a great deal. Q. What do you love most about coaching? Q. 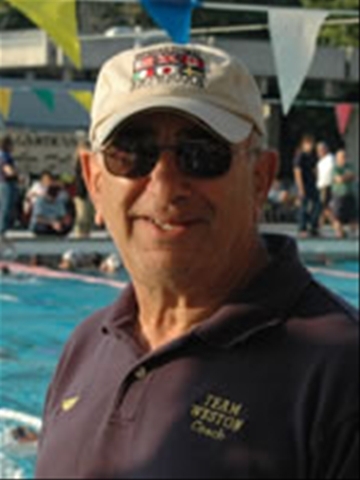 What would you have been if you were not a swim coach? Pat McInally was a sports reporter for the New York Daily News during the late 1960’s. He wrote a column to young athletes in a question and answer form. While I was clearing out some of my old paperwork that just seems to accumulate over the years I came across this old article that I clipped out of the paper and used it on many occasions to make a point about not giving up. A reader poised a question to Pat and it went like this. Our son is a good athlete but has never really gotten to play much. He puts in so much time and energy and he knows he’ll never be a star, but he keeps practicing and sitting on the bench anyway. We don’t want to discourage him, but don’t you think he should get involved in something in which he would be more successful? I don’t know if you’ve ever played any sports but, believe me, there is so much more to athletics than just being a star. Sure, it’s great to receive the awards and fame that go with stardom, but they’re just bonuses, not the only reasons for playing. Whatever happened to things like enjoying the competition, sharing the camaraderie between teammates, and developing discipline, sacrifice and dedication. Somewhere along the line, probably because of television coverage and large professional contracts, too many of us have lost track of these priorities. Can’t you see that your son’s attitude and approach exemplifies what athletics are supposed to be all about? Instead of thinking about discouraging him, why aren’t you praising him and be proud that he’s out there working hard to do something because it’s important to him and not just for superficial rewards. You wonder if he should quit and find something else that he would be more successful in. Well, I think the work habits and persistence he has exhibited, with little reward beyond personal satisfaction and that which he shares with his team, make him very successful! These are irreplaceable and will help him throughout his life, far more than trophies, press clippings, or dating the cheerleader. Sports like life, is unpredictable. Your son may never leave the bench, but who’s to say that he’s not just a late bloomer and may some day get his chance to star. In either case, you should be encouraging him to continue his quest and be thankful that he has the drive and guts to keep playing, despite his discouragement and lack of success thus far.